One of the major tourist cities on Nile, Aswan is a beautiful sunny Egyptian city with relaxing lifestyle and a scenic view of sailboats. Aswan offers marvelous and breathtaking view of Nile. When vesting Egypt make sure you plan a trip to Aswan and explore its Nile coastline and museums, tombs and nearby villages. Aswan town and its east bank offer a handful of amazing attractions to explore with a car hire such as Nubian Museum and Unfinished Obelisk. While the other river and island attractions to enjoy are Nubian Villages & Aswan Museum, Seheyl Island and Aswan Botanical Gardens. Sightseeing on west bank covers Tombs of Mekhu & Sabni, Kubbet al Hawa, and Tombs of the Nobles, Monastery of St Simeon, Mausoleum of Mohammed Shah Aga Khan and more. Aswan allows you to make advance booking online to avoid any hassle of waiting for your vehicle. 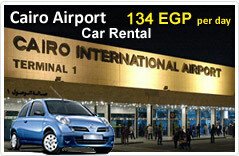 Our pick up points in Egypt includes all the key cities and their airports. Car hire for Aswan from Egypt Cars Rental means liberty to drive around in convenience and budget. Our prices are competitive and inclusive of CDW and insurance. At Egypt Cars Rental, we understand the need of customer service thus you can get in touch with our team members, prior to booking you car for any doubts or query. Egypt Cars Rental is undoubtedly one of the best car hire in Egypt which allows you to compare prices and choose what suits your pocket.